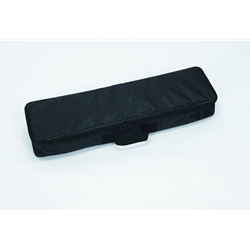 (Pictured is the 8 note bell case.) These new cases make storing and transporting bells easier than ever! The heavy-duty nylon material is virtually indestructible! Holds 8 Kidsplay brand combined bells. This case holds 13 KidsPlay combined bells.